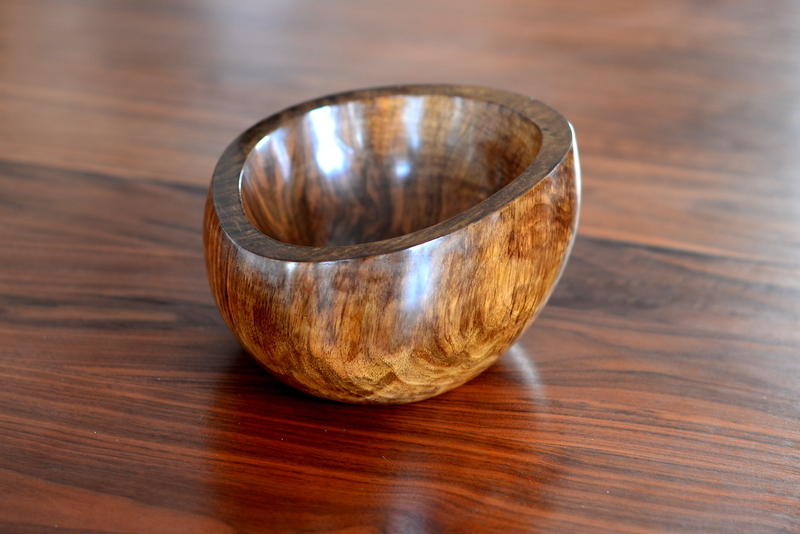 The low Autumn sunshine streaming into my workshop last week showed this oval walnut bowl in such a flattering light that I couldn’t resist taking a photograph. The bowl was being carved on the bench because my lathe isn’t big enough to turn a piece of this size. 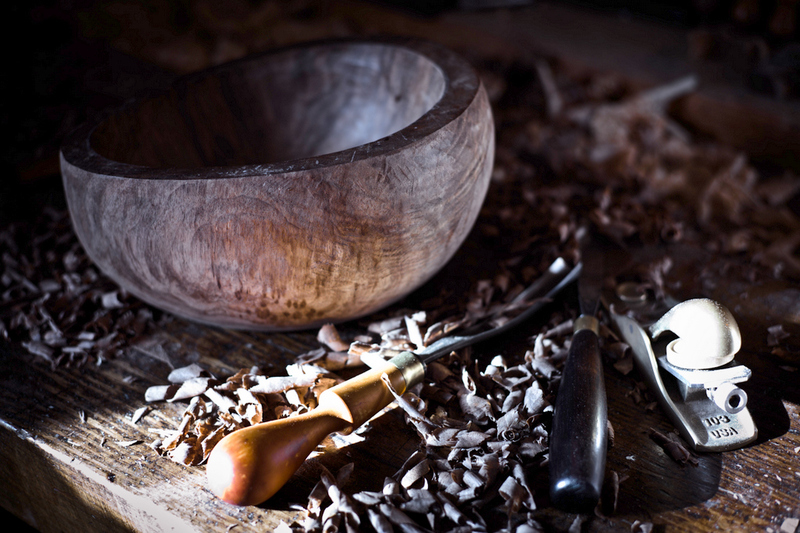 Mind you, carving lets you do things that wouldn’t be possible on a lathe, as the photograph below shows. 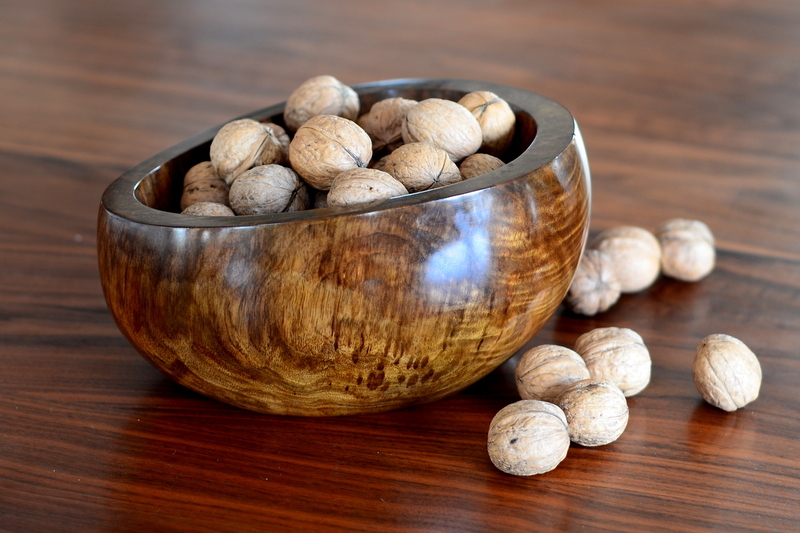 It’s taken from David Pye’s book The Nature and Art of Workmanship (ISBN 1-871569-76-1) and the author carved the dish out of the wood of the wild service tree, Sorbus torminalis. Service wood is not a timber that I’ve ever seen, although I understand that it was once sought after for harpsichord jacks. I wasn’t attempting anything nearly as ambitious as Pye’s dish. 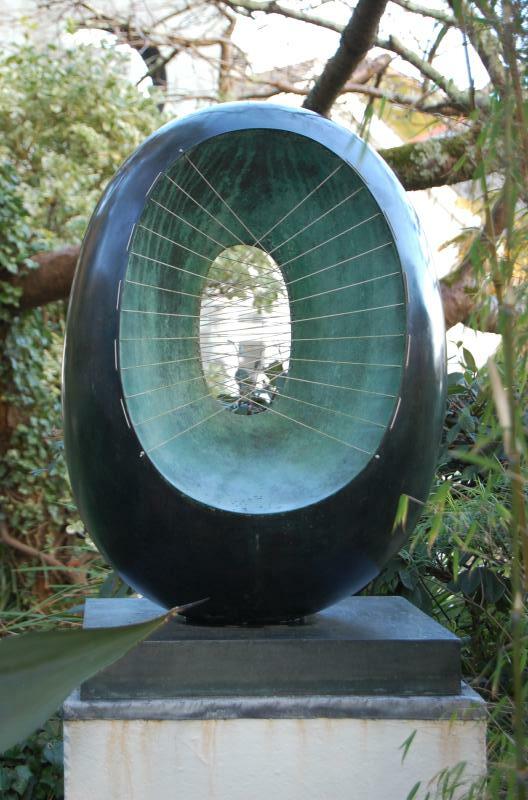 What I had in mind was the egg-like form that Barbara Hepworth frequently used in her sculptures – but on a much smaller scale and as a utilitarian object rather than a work of art. 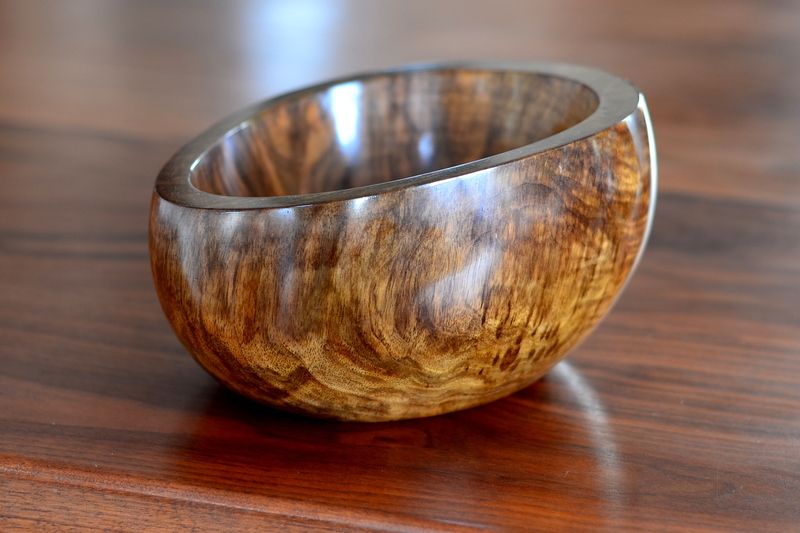 Here’s a photograph of the completed bowl, which has been finished with clear French polish. To see a larger version of these photographs as a slideshow, click on any of the thumbnails below. 1. Thanks to due to the anonymous photographer who posted the picture of Barbara Hepworth’s garden in St Ives, Cornwall on Flickr (http://flic.kr/p/7J4gud). Violins are difficult to photograph but, thanks to Michael Darnton’s book on violin making, I’ve recently got better at it. As far as I know, the book isn’t published (or even finished) yet, but some chapters are available on-line. 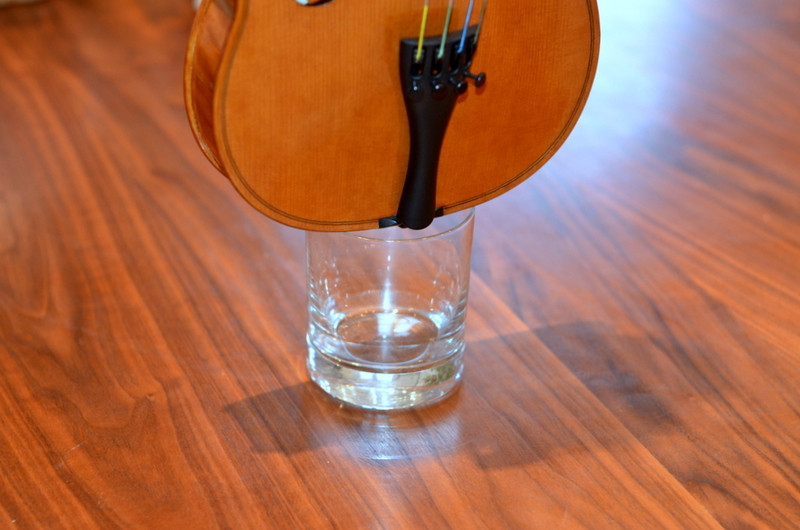 There’s one on violin photography which, amongst other good advice, mentions the ingenious technique of using a glass jar or tumbler to stand the instrument on while it’s being photographed. This is less precarious than it seems and has the great advantage of holding the violin vertically upright in a way that’s nearly invisible. 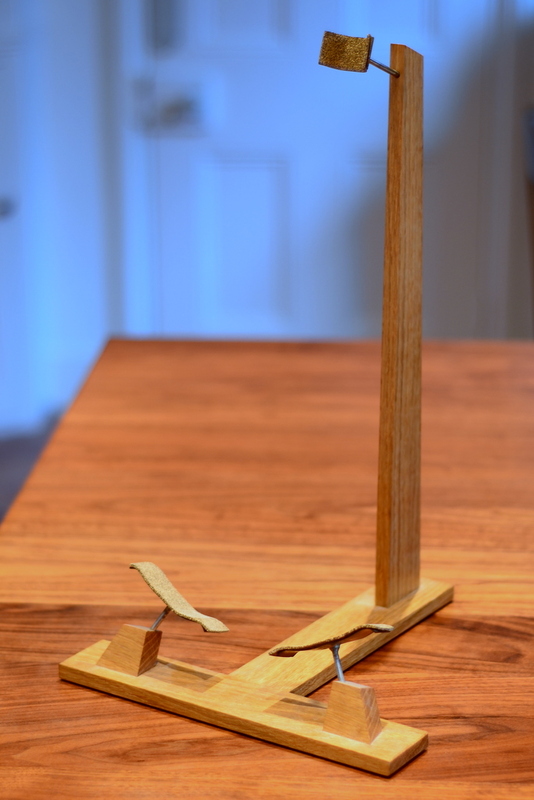 Previously, I’d used this stand, which is fine for displaying instruments but much less good than the glass method when it comes to photographing them. 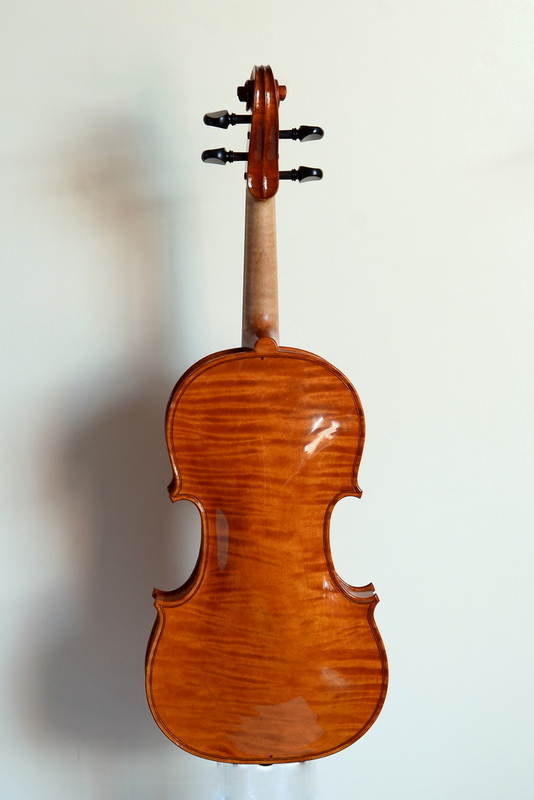 Here are a couple of shots of a recent violin. They’re still not very good – the lighting is uneven, shadows are visible on the backdrop and the camera is positioned a little too high – but they’re a substantial improvement on anything I managed before. 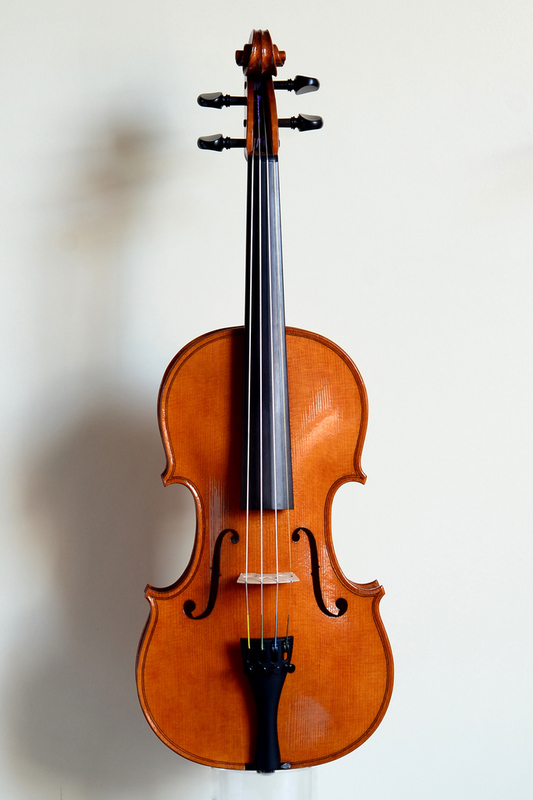 The violin is based on an instrument made by Carlo Bergonzi in 1736 but I’ve made it three-quarter size for a violinist who, following an injury to her shoulder, can no longer play a full size fiddle comfortably.